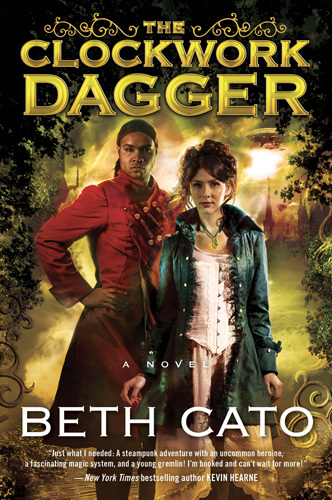 CLOCKWORK DAGGER $1.99 ebook sale! Posted by Beth on Oct 24, 2017 in Blog, clockwork dagger | Comments Off on CLOCKWORK DAGGER $1.99 ebook sale! 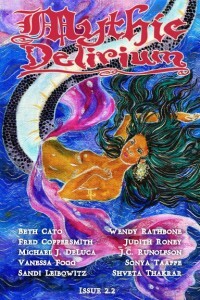 My first novel is on sale for a splendiferous price of $1.99! That’s right, you can grab an ebook of my Final Fantasy meets Agatha Christie steampunk fantasy for under two bucks. This includes Amazon, B&N, Kobo, iTunes, AND Google Play. If you already have it, perhaps consider gifting it to a friend? Psst. Remember that ebook sale I posted about a few days ago? 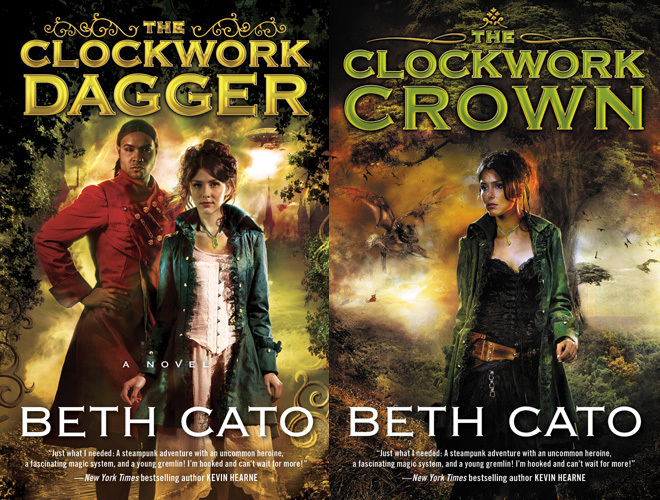 Well, guess what–you can win outright win** the ebooks of The Clockwork Dagger and The Clockwork Crown! It’s easy if you have an Amazon account and a Kindle or Kindle app. Click here to enter for a chance to win Dagger and here to enter for a chance to win Crown. All you have to do is follow me on Amazon, which means you’ll get notifications when I have a new book out. When you enter, you’ll be told right away if you’ve won. If you didn’t, well… did I mention the ebooks are on sale? **NO PURCHASE NECESSARY. Ends 8/15/15 11:59PM, or when all prizes are claimed. See Official Rules. 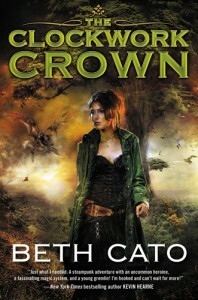 EBOOK SALE: Clockwork Dagger $1.99, Clockwork Crown $2.99! Posted by Beth on Aug 9, 2016 in Blog, clockwork crown, clockwork dagger | Comments Off on EBOOK SALE: Clockwork Dagger $1.99, Clockwork Crown $2.99! To build up to the release of Breath of Earth in two weeks, Harper Voyager has set ebooks for Clockwork Dagger and Clockwork Crown on sale. A BIG sale. Clockwork Dagger is $1.99 and Clockwork Crown is $2.99; both are usually $10.99! Please help spread the word. Feel free to grab the graphic above and share on your site or social media. Thanks! Reading accessibility is a personal issue for me. I have worn glasses since I was twelve, but in my family, sight problems go deeper than mere near vision. I’m well aware that genetic eye diseases could very well make me go blind as I age. The question comes up every few weeks about if my books will be produced in audio by my publisher. I don’t know. Since it may not happen, it makes it all the more important that other options are available! If you’re in the United States, there is also a service called BARD (Braille and Audio Reading Download) provided by the National Library Service for the Blind and Physically Handicapped (NLS). Book lovers can download books from a database of 65,000 titles. The Clockwork Dagger is available for download for approved NLS devices, and The Clockwork Crown is in process. They can also mail some materials. Here’s where you can find out more about the program and how to enroll. Do you know of other resources in the United States or beyond? Let me know! A year ago, one of my lifelong dreams came true. I think it has aged pretty darn well, too. Thanks for your support through the release of both books over this past year. The comments, cat gifs, retweets, likes, and most especially those emails that seem to arrive just when I need them the most.